Japan’s railways are famed as the fastest in the world, but there’s more to the country’s tracks than speed. A new generation of sightseeing trains are offering the opportunity to take in an art exhibition, sip sake or feast on sushi all while taking in beautiful landscapes. A world away from the maddeningly overcrowded commuter carriages of Tokyo, Japan’s many sightseeing trains leisurely crisscross the nation, providing an alternative way of experiencing different regions’ cultures and flavours. 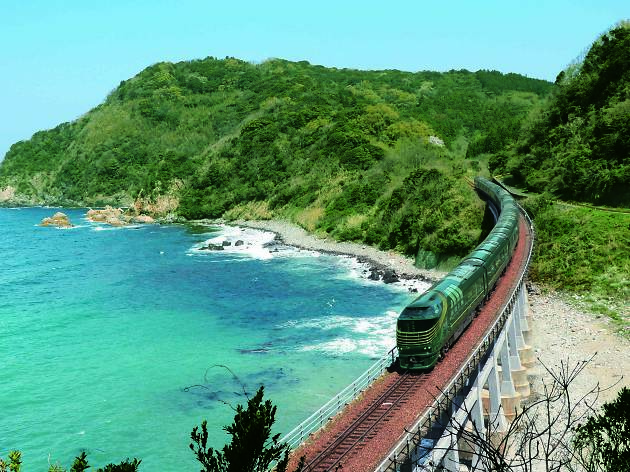 The beautiful Sea of Japan side of the country, still too often neglected by travellers, has a particularly impressive selection of these trains. They are becoming increasingly popular among domestic tourists but are still all but undiscovered by visitors from abroad. Here are our five favourites, from a high-speed art museum to one that combines super-fresh sushi with majestic ocean views. A bullet train designed specifically for the purpose of allowing passengers to enjoy cutting-edge Japanese contemporary art, the Genbi Shinkansen features different artworks in every carriage, a kids’ room where children can learn more about art, and even a slick café. After the one-hour trip between Echigo-Yuzawa and Niigata stations, make sure to check out the exterior of the train, covered in a bold depiction of Niigata’s famous Nagaoka fireworks as captured by photographer Mika Ninagawa. This boozy train was inspired by the renowned sake of Niigata, one of Japan’s most important rice-producing regions. At the in-train bar, passengers can sip on a selection of local sake and enjoy a variety of side dishes created with the finest local ingredients. The train also hosts pop-up tastings by Niigata breweries, talks, jazz performances and other events. There are three routes to choose from, so you can combine sipping with views over the majestic Sea of Japan on your way out, and return via the region’s lush mountains and valleys. You’ll also have the chance to strike up conversation with brewers over a tipple. It all adds up to an enjoyably tipsy trip only possible on the Koshino Shu*Kura. The legend of Yamata no Orochi tells the tale of banished Shinto god Susanoo, who slays the eight-forked serpent Yamata no Orochi and thus acquires the sacred Kusanagi sword, one of Japan’s three mythical imperial trophies. Said story takes place in the wilds of Okuizumo, which are best seen from the window of this old-school ‘trolley train’. Although not quite as epic as in the legend, the area is culturally intriguing, with the iron manufacturing settlements dotting the landscape recalling Hayao Miyazaki’s anime masterpiece Princess Mononoke. Bento vendors on the train peddle local specialities including grilled mackerel oshizushi (a type of rectangular sushi) and Nitagyu beef, plus pudding and cheese made from Kisugi milk produced along the railway. Fondly referred to simply as Belles Monta, this retro train is perfect for gazing at dramatic coastal scenery while enjoying the best of the local seafood. Inside the moss green carriages the window frames are decorated like a picture frame and the hanging straps are crafted to resemble copperware from nearby Takaoka, a city renowned for its manufacturing legacy. But what really stands out here is the sushi display case found at the end of the train. A chef turns seafood caught fresh from Toyama Bay into sushi right before your eyes. Those of you tired of selfies may want to ask one of the friendly conductors to snap a picture of you on the platform. 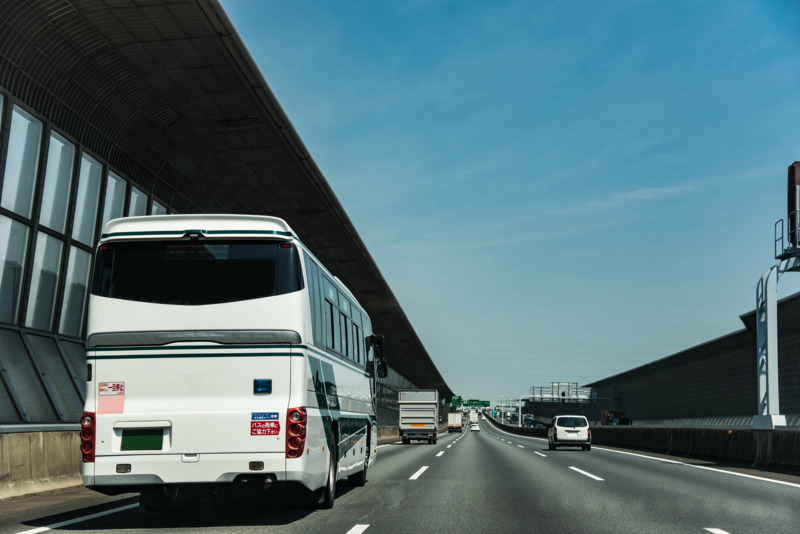 A ten-car train with a maximum capacity of 34 passengers, the Mizukaze is a moving luxury hotel. With only six cars housing guest rooms, including suites that span an entire carriage, an all-inclusive restaurant and lounge, it’s the most exclusive train you’ll find, well, anywhere. 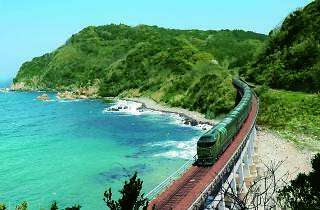 Choose either the Sanyo route, which traverses historic regions including Kurashiki and Iwakuni by the seas separating Japan’s main island from smaller Shikoku, or the Sanin route which runs along the Sea of Japan coast through Tottori and Izumo. 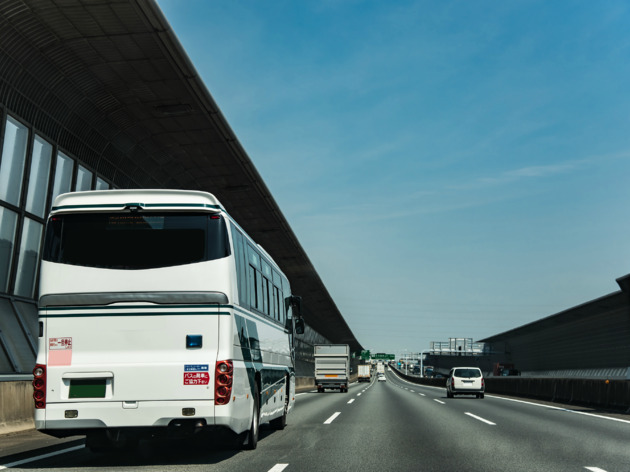 Both provide an in-depth, guided look at the nature and culture of each area you pass through, with special Mizukaze buses awaiting passengers at several stations, ready to ferry travellers to highlights inaccessible by train. The only catch is that you’ll need to wait for quite a while after making a booking: the Mizukaze is currently sold out all the way to February 2018. Prefer a bus ride instead?